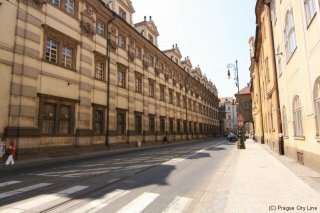 The Clementinum, a former Jesuit college, is the second largest place of interest in Prague after Prague Castle, and the largest Jesuit building in the Czech lands. 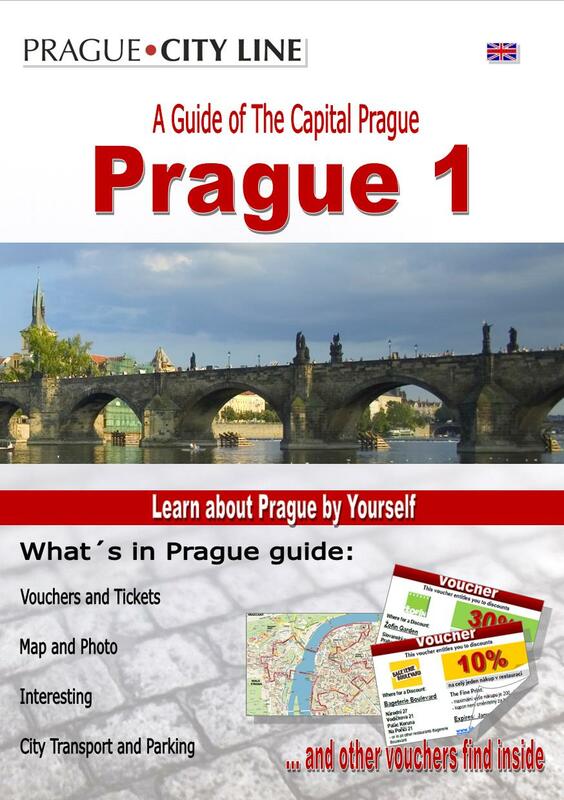 The Jesuits arrived in Prague in 1556 on the invitation of Habsburg Emperor Ferdinand I in order to strengthen the Counter-Reformation in the Czech lands. 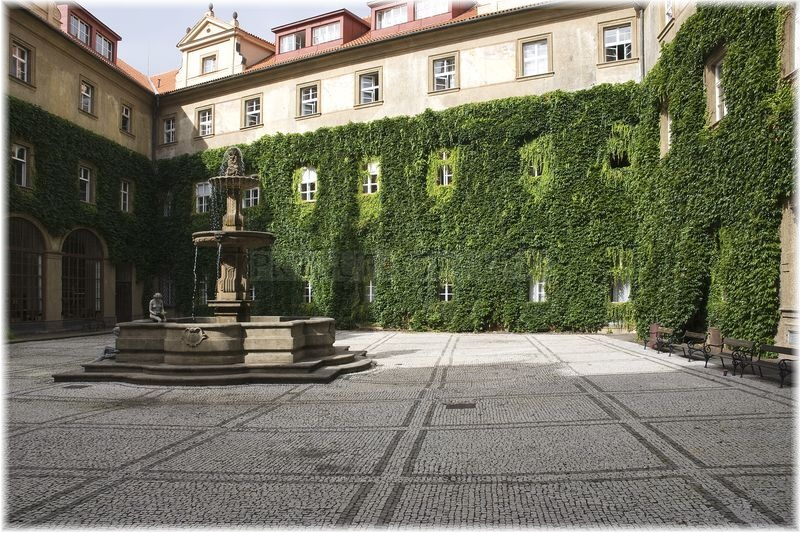 For more than 200 years they built up their college, a complex of buildings between four streets and two squares and divided by five courtyards. Architects such as Carlo Lugaro, Francesco Caratti, Domenico Orsi and František Maxmilián Kaňka worked on the Clementinum. 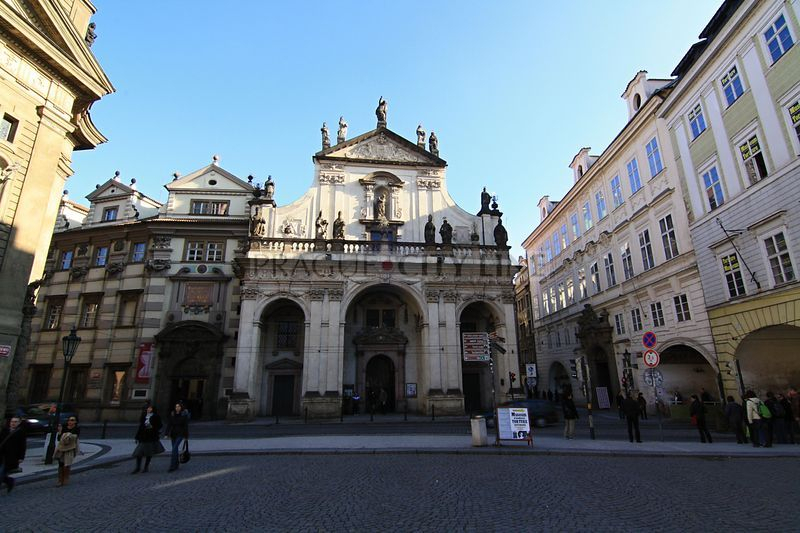 The statues adorning the buildings are the work of Jan Jiří Bendl – the statues of the saints on the façade of the Church of the Holy Saviour are by Giovanni Bartolomeo Cometi. 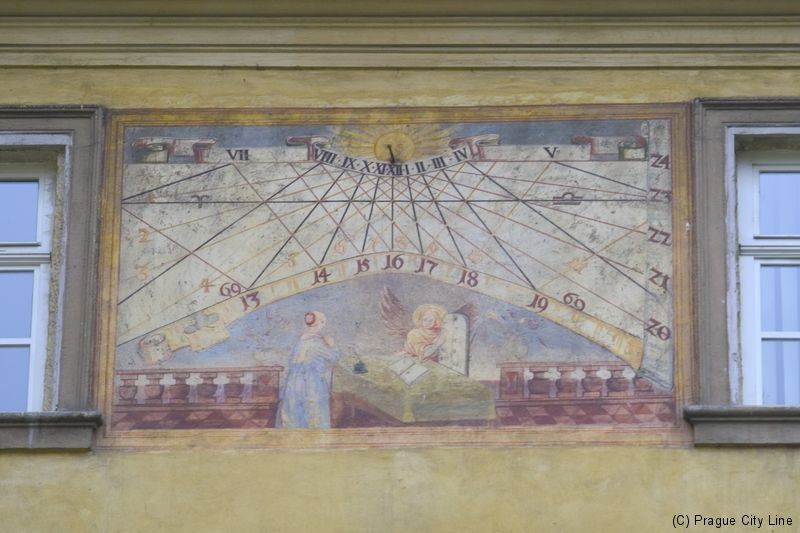 Other interesting features at the Clementinum are the thirteen sundials on the walls of the various buildings and the tower of the observatory from 1751, from which the noon gun used to be fired. 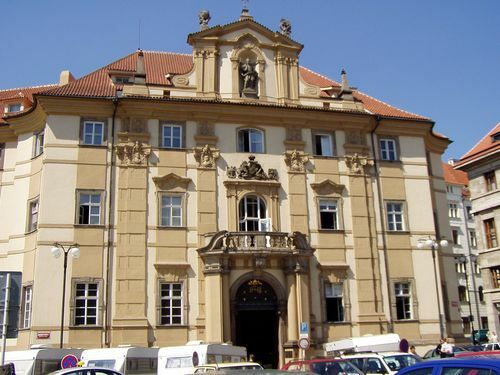 During their time in the Czech lands and at the Clementinum, the Jesuits devoted much of their effort to education. They built all kinds of schools and in 1571 they were granted permission by the pope to award academic titles. Many future Czech scholars, who would have a significant bearing on the history of the country, studied at schools and colleges in the Clementinum. The Jesuit Order also had its darker side such as witch trials and book burning. 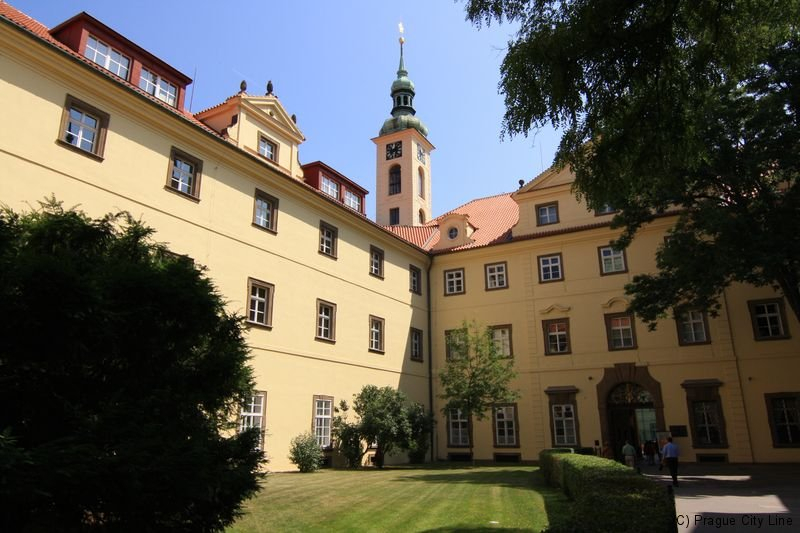 In 1773 the Jesuit Order was abolished by Pope Clement XIV and the monks were forced to leave the Klementinum. In the third courtyard of the complex rises the observatory tower with a metal statue of Atlantis on the top. 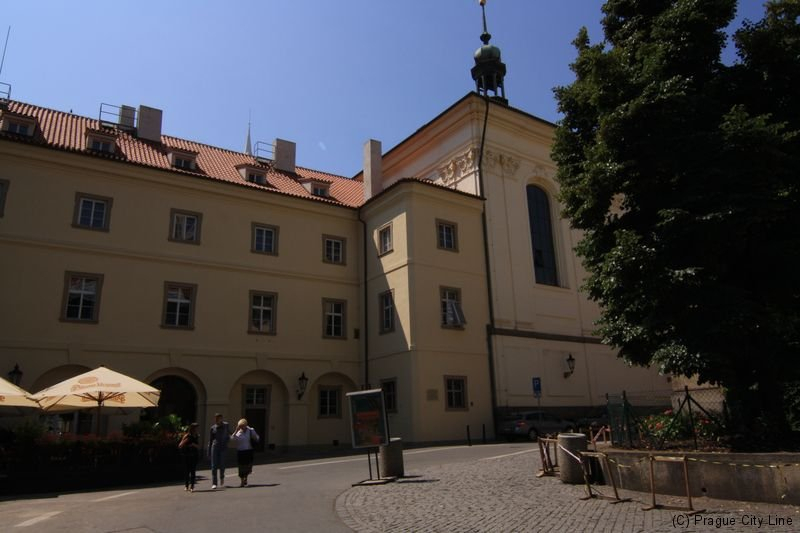 For more than 200 years (since 1775) a meteorological observatory has been in constant operation here, recording the weather in Prague, longer than anywhere else in Europe. The entrance to the Mirrored Chapel, now used as a concert hall, can be found in the fourth courtyard. 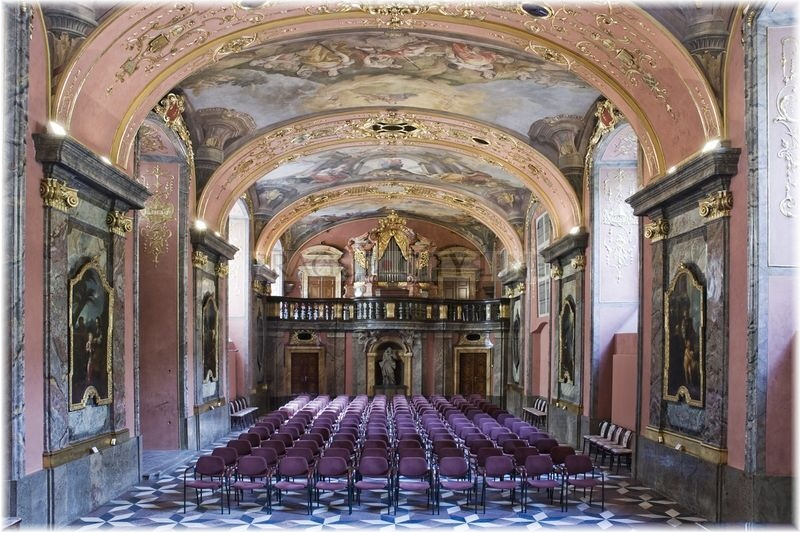 Most of its halls are decorated with rich stucco work or paintings. 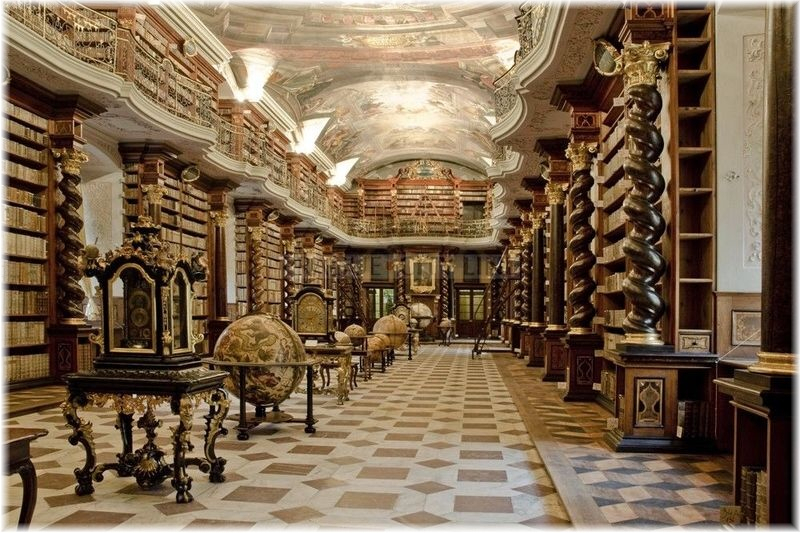 At present, the Klementinum is home to the National Library and many valuable collections of books can be found here. Clementinum / Klementinum 50.086598, 14.416019 Clementinum(Klementinum) The Clementinum, a former Jesuit college, is the second largest place of interest in Prague after Prague Castle, and the largest Jesuit building in the Czech lands. 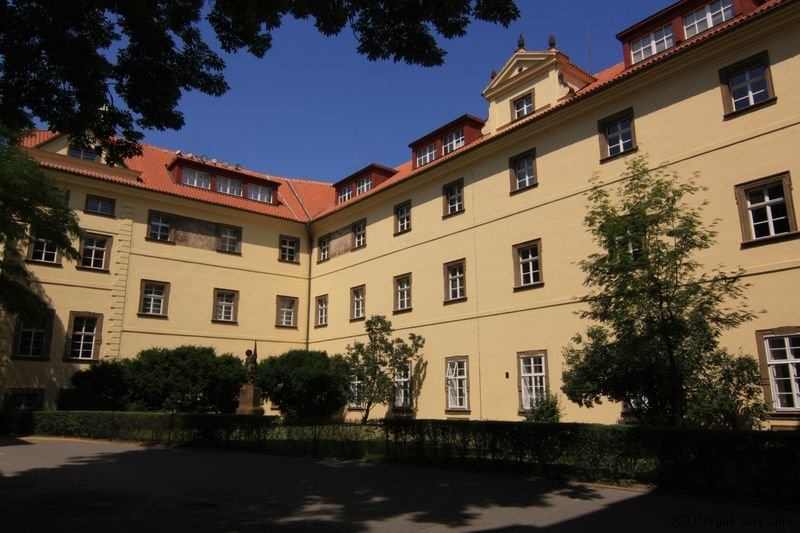 The Jesuits arrived in Prague in 1556 on the invitation of Habsburg Emperor Ferdinand I in order to strengthen the Counter-Reformation in the Czech lands.